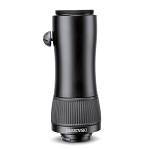 The TLS APO Digiscoping Adapter for ATX/STX Spotting Scopes from Swarovski is a proprietary adapter used to connect a DSLR or mirrorless camera body to the viewing module of ATX/STX series spotting scopes. 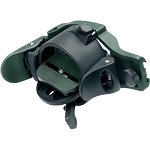 A T2 camera adapter is also required to complete the Swarovski digiscoping system. 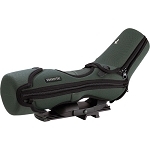 When the TLS APO, T2 adapter, and camera body are mounted to the spotting scope eyepiece, users are treated to a truly stunning digiscoping experience. The TLS APO has a 30mm apochromatic pancake lens that perfectly aligns the camera sensor with the focal plane of the transmitted image. 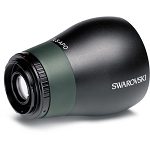 Regardless of the camera used, you will capture contrast-rich and sharp video and still images using the premium optics of your Swarovski spotting scope.